Dental hygiene is an important part of your pet's health and can often be the cause of serious illness. If left untreated, dental problems can often lead to larger systemic problems in your pet due to oral bacteria entering the blood stream and damaging the kidneys, heart and liver. Many of these problems can be avoided by scheduling regular dental check-ups and dental cleanings for your pet. Veterinary dentistry is considerably more involved, time-consuming and complex than human dentistry. 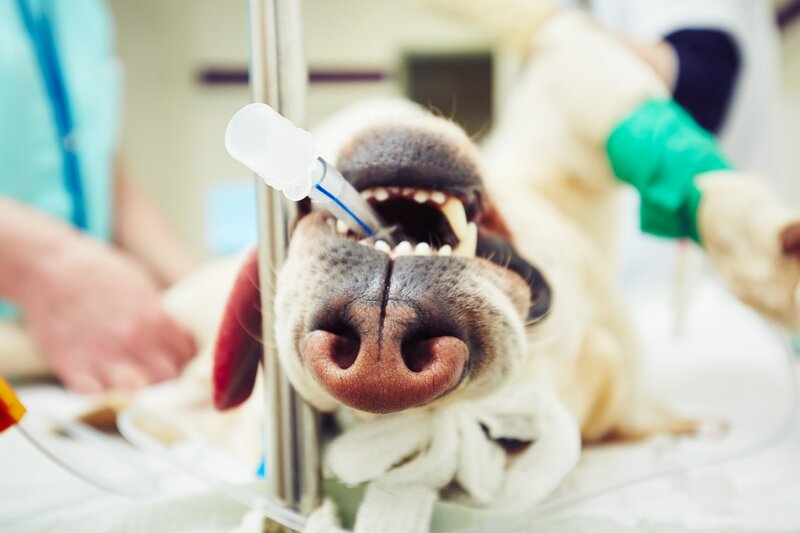 Cleaning a pet's teeth requires general anesthesia followed by a day long hospitalization. After appropriate pre-anesthetic screening, our skilled veterinary staff regularly perform cleanings, scaling, assessment of tooth and gum health and extractions. Extra Care Animal Hospital ensures your pet's safety by following a strict surgery protocol. Pre medication administered to calm your pet, Intavenous catheter placed for iv fluids during dental cleaning, endo tracheal tube is placed to protect your pets airway during the cleaning, Bair Hugger and blankets are used to thermo regulate your pets temperature, blood pressure readings every 5 minutes, EKG reading during entire procedure, IV fluids, Pain injection, antibiotic injection, oral nerve blocks for extractions, pulse ox to measure oxgen saturation during entire procedure. We take care of each pet as if they were our own when you bring them in to Extra Care Animal Hospital. In any emergency, seconds count. Our experienced staff is backed up by our mobile resuscitation unit, stocked and equipped to administer the ABCs of basic life support; Airway, Breathing, Circulation/Cardiac compressions. Emergency care is offered during regular business hours, however, we also use the services of LeadER if we are unable to accommodate you due to the patient flow in the hospital. We offer the most advanced surgical techniques and technology. All patients are carefully screened for safety, and anesthetics are specifically tailored to your pet. Surgical services and facilities include: board certified surgeon available for consultation; fully trained veterinary and technical staff, to ensure the safest, most efficient, state-of-the-art procedures for your pet; heated surgery tables for greater comfort; Bair hugger device for thermoregulation during surgery, advanced sterilization techniques; ECG and oxygen saturation monitors; IV Fluids, IV fluid warmer, complete pain management before, during and after surgery, intensive after surgery care and full blood testing.